PH2 - 885 Salsbury Drive, Vancouver, BC, Canada. This one bedroom penthouse is located just half a block away from Commercial Drive in East Vancouver. Many boutique stores, restaurants and café's are close to your front door! For live entertainment, The Cultch and Britannia community centre complex which includes a pool and a skating arena are only a 5 minute walk away. Contact Advent today to view this penthouse at 885 Off The Drive, rent with ADVENT! To rent this property applicants must complete Advent’s tenancy application in full, have an excellent Landlord reference and Tenancy history, agree to a Credit Check and have a Credit Score of at least 600, and proven employment and employment history with a salary or income that can support the rental rate. Offshore applicants will also require a valid passport, work or student visa and be able to prove they can legally stay in Canada for the duration of the tenancy. A local guarantor may be required. Insurance: Advent’s tenants are required to hold current tenant's insurance, proof of insurance will be required at move-in. Pet Policy: Pets may or may not be allowed in this property, this is the decision of the Landlord/Owner and the Strata Corporation (if applicable). A deposit of 50% of the monthly rental rate is required along with references. Smoking Policy: No smoking in any of Advent’s rental properties, no exceptions, this is grounds for eviction. Tenant Obligations Under the Residential Tenancy Act: A tenant must maintain reasonable health, cleanliness and sanitary standards throughout the rental unit and the other residential property to which the tenant has access. 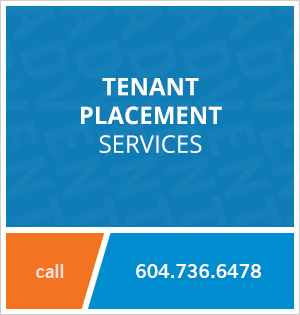 A tenant of a rental unit must repair damage to the rental unit or common area that is caused by the actions or neglect of the tenant or a person permitted on the residential property by the tenant. 602 Citadel Parade, Vancouver, BC. 220 Salter Street, New Westminster, BC. 4888 Brentwood Drive, Burnaby, BC. 1561 West 57th Avenue, Vancouver, BC. 5111 Brighouse Way, Richmond, BC. 8850 University Crescent, Burnaby, BC. 89B Fell Avenue, Burnaby, BC. 3807 Marine Drive, Burnaby, BC. 8628 Hazelbridge Way, Richmond, BC. 4980 Chatham Street, Vancouver, BC. 1316 West 11th Avenue, Vancouver, BC. 1148 Heffley Crescent, Coquitlam, BC. 999 Seymour Street, Vancouver, BC. 345 Water Street, Vancouver, BC. 12310 222 Street, Maple Ridge, BC. 3166 Pier Drive, Coquitlam, BC. 530 Whiting Way, Coquitlam, BC. 12145 - 207A Street, Maple Ridge, BC. 1367 Alberni Street, Vancouver, BC. 1495 Richards Street, Vancouver, BC. 1540 Grant Street, Vancouver, BC. 6305B Saint Catherines Street, Vancouver, BC. Rental Listing Disclaimer: The information presented on this webpage, while deemed to be correct, is not guaranteed. The rental status (for rent/rented), rental rate, availability date and property features are all subject to change at any time. Advent Real Estate Services Ltd. is not responsible for any inaccuracies on this webpage. 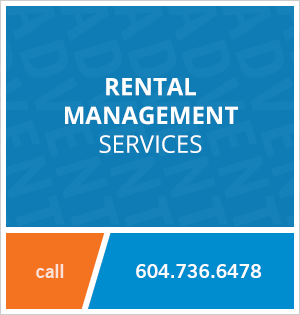 Advent Real Estate Services Ltd. provides or has provided Rental Property Management or Tenant Placement services for this property. © Advent Real Estate Services Ltd.